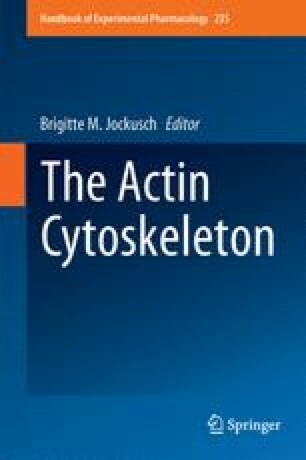 The actin cytoskeleton provides mechanical support for cells and generates forces to drive cell shape changes and cell migration in morphogenesis. Molecular understanding of actin dynamics requires a genetically traceable model system that allows interdisciplinary experimental approaches to elucidate the regulatory network of cytoskeletal proteins in vivo. Here, we will discuss some examples of how advances in Drosophila genetics and high-resolution imaging techniques contribute to the discovery of new actin functions, signaling pathways, and mechanisms of actin regulation in vivo. We thank Meike Bechtold and Christian Klämbt for critical reading of the manuscript. Our work is supported by a grant to S.B. from the cluster of excellence “Cells in Motion” (CIM), and by grants to S.B. from the Heisenberg Program of the Deutsche Forschungsgemeinschaft (DFG) and by the SPP1464 priority programme of the DFG.